Pair of folding rivet spectacles. 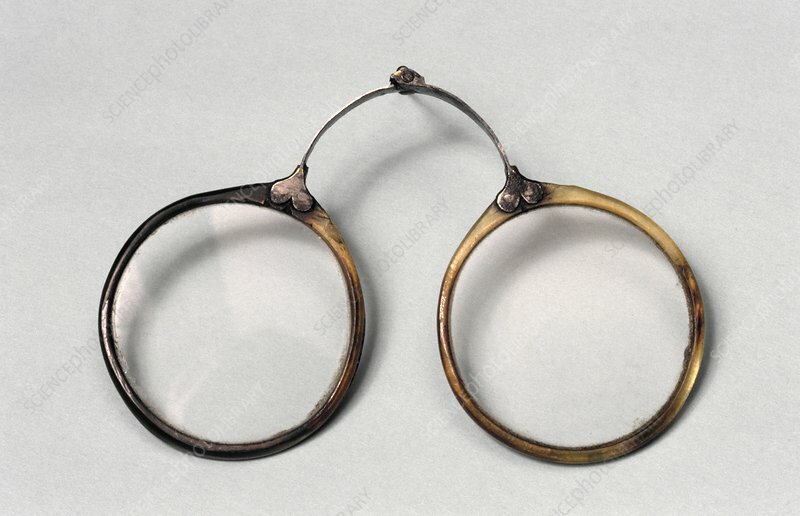 Rivet spectacles were so called because they attached to the face by two riveted lenses which clamped either side of the wearer's nose, the wearer would often have to tilt their head back to ensure they stayed in pace. These spectacles held convex lenses and tended to be used for reading by those with long sightedness due to age (presbyopia). These are made of horn and silver, date not known.